Plotting A Review Trip: Qantas 787, Singapore 787, Malaysia A350, And More! Last week I shared the details of four upcoming review trips I have planned, where I should be reviewing some pretty fun products, ranging from the new longest flight in the world, to Kenya Airways’ new route between New York and Nairobi, to RwandAir’s A330 business class. Not included in that post is a trip I’ve been plotting, but haven’t yet pulled the trigger on. I’m planning one more review trip for 2018, and originally my plan was to fly to Saudi Arabia on Virgin Atlantic’s 787 business class and Gulf Air’s 787 business class. However, following recent developments I’ve decided not to travel to Saudi Arabia for now. So my plan instead was to fly to India and review Virgin Atlantic’s 787 business class, Air France JOON’s A340 business class, and Gulf Air’s 787 business class. Go figure as I was about to pull the trigger, the Virgin Atlantic award space disappeared, and I was back at square one. At that point I looked at other options that worked for the days I had available, and came across something fun. I was shocked to see Qantas 787 business class award availability from San Francisco to Melbourne. 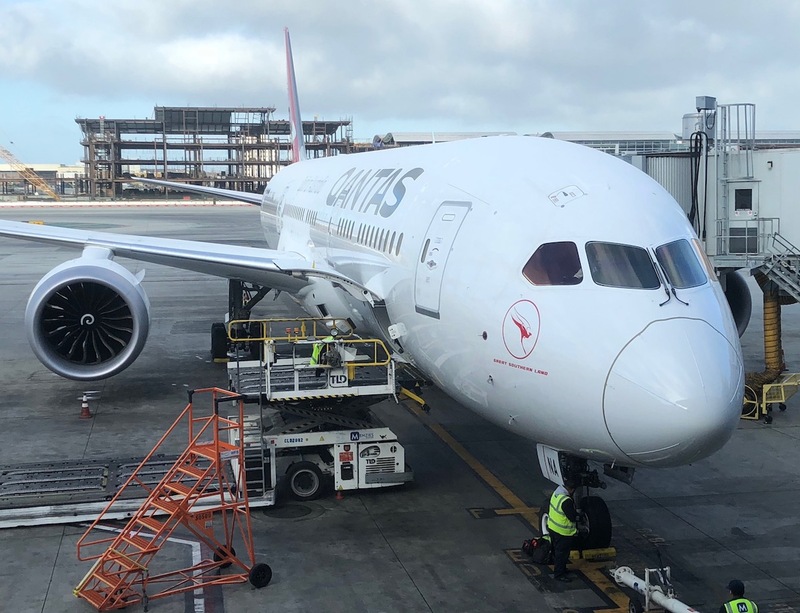 I’ve never reviewed Qantas’ longhaul business class, let alone on the 787, so I held that right away. So then I kept researching from there. Unfortunately I couldn’t book this with Alaska miles, so I’ll end up having to pay 85,000 AAdvantage miles. 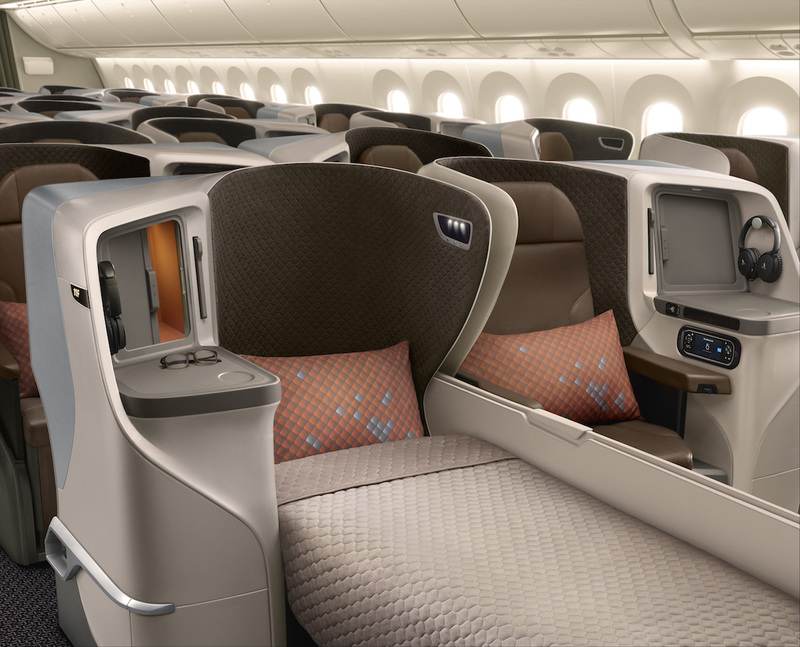 From there I found award availability from Melbourne to Bali on Garuda Indonesia’s new A330, featuring reverse herringbone seats in business class. The best value I can find for that is 75,000 Delta SkyMiles, which isn’t great, but isn’t bad either (if there’s another obvious redemption option I’m missing, please let me know). Then from Bali I could fly to Singapore on Singapore Airlines’ 787-10 (featuring their new regional business class), and then connect from Singapore to Kuala Lumpur on the Singapore Airlines A350-900, for just 17,500 KrisFlyer miles. From there I could fly from Kuala Lumpur to Tokyo in Malaysia Airlines’ new A350 first class, which I’ve been keen to review. I could book that for just 40,000 AAdvantage miles. I’m trying to think of something new and interesting I could review out of Tokyo. Ideally I’d review ANA’s 787 or 777 business class, but there’s no availability for my dates. The one thing I do see is Japan Airlines 777 first class to Chicago, so I’ve gone ahead and booked that for now. However, I’m certainly open to a more creative return. There are a few other things I wish I could squeeze in since I’m in Asia anyway, but I can’t make the award availability work. I’d love to fly EVA Air’s new 787 business class. They’ll initially be flying the 787 from Taipei to both Hong Kong and Tokyo Narita, though unfortunately I don’t see award seats anywhere around my dates at the moment. I’d also love to fly Juneyao’s new 787 business class. The problem is that they’re initially flying the plane only between Shanghai Hongqiao and Shenzhen, which isn’t terribly useful in the context of this itinerary. Then there’s Shanghai Airlines’ new 787 business class, which features doors. So as much as I’d like to review them, I’d also rather do so on longer flights, so I think it maybe it makes more sense to wait? I’d love to hear any thoughts/ideas you guys have based on the above review trip! You seem to have an infinite supply of all kinds of points. Hi, How about a couple of side trips from Melbourne around South Pacific on smaller airlines like Samoa Air, Solomons, Air Vanuatu etc? Hi Ben, here’s a redemption option you might be missing! MEL – DPS in Business with Garuda should only be 42,000 Etihad miles. I’d love to see some reviews of flights to/from Tahiti as well as some reviews of hotels in Tahiti and bora bora! What you could do is fly from Tokyo to Noumea on an Aircalin A330 and then fly on to Auckland on either Air New Zealand or Aircalin. From there, you could get back to the US on Air New Zealand to a number of US destinations. I don’t know the dates that you are planning this trip for, but Air New Zealand will start flying to Chicago on November 30, so maybe you could fly back on that route. I know that this is a significant detour, but this way, you could get your Aircalin review in which you wrote a couple posts about previously. @ Jamie — If only they ever made premium cabin award seats available! I don’t think I’ve ever seen a business class award seat on that flight. I was thinking: maybe you could try Hainan’s new reverse herringbone seats in their 787-9 or JAL’s reverse herringone as well. Didn’t you already book ANA first class 2 months ago? There’s that option. Btw for ANA first class, if you leave in the evening from Tokyo, there’s a full-service restaurant in the lounge. You should try that out! Or you hop over to China and try Air China a350 biz. How about Phillipine Air’s resumed MNL-JFK flight? It’s one of the 10 longest non-stop flights in the world. Lucky – Any way you could maybe work in Philippines Air new product from MNL-JFK? FM’s 787 will fly Australian routes in the future but I don’t think it will start before December. MU’s 359 is coming soon. It features the exactly same seat as FM’s 787 except that the window shades which are the same automated type on Emirate’s A380. It will fly to FRA and NRT after a few months of domestic flights. The service on FM’s 787 as of now are not that bad. They cabin crews are the old ones that joined FM back when they were still in star alliance. MU Yunnan will receive 789 soon so the FM’s old cabin crew are instructing the MU Yunnan crews. Be careful about buying FM 787 business class. You will want U class which is the 4 bulkhead premium business class seats. MU and FM’s soft product has deteriorated a lot recently because they severely cut the frequent flyer treatment. Some cabin crews even get punished for providing better service than the guideline. Also some cabin crews hate their own frequent flyers and publicly criticized frequent flyers on Chinese’s facebook and twitter. Since you are a foreigner in China, I would expect that you get beyond average service as usual. HO’s service is usually quite good compare to the big guys. Their cash price is also fairly cheap. The maiden flight of 787 has been delayed to Oct 26. Just did MEL-SFO on the 787 in J and it was a wonderful experience. Seats were very comfortable and service was good. Food coming out of MEL was really good, although everything was very small (salads, soups, especially mains…). Seems like this might have been a one-off incident, but they ended up cancelling my outbound QF49 to MEL on that aircraft for some reason. Just a warning as they rebooked me on the SYD service that night on one of their older 747s – not really the same experience as I was expecting from the new 787. Perhaps check out award availability on Virgin Atlantic HKG-LHR? They fly the 787 there too. I also recall from a year ago you wanted to fly Turkmenistan Airlines. There’s no guarantee of course but the PEK-ASB route tends to get the 777 and you don’t need a visa if your’e connecting through ASB to go to LHR/CDG/FRA/IST, etc. Oh and that reminds me — I recall you telling us the HKG fuel surcharge ban ends soon too so perhaps one more flight ex-HKG before the fuel surcharges kick in? The world is coming to an end because I actually agree with Debit. I can’t get over the diversity and seeming infinite amount of points currency you maintain. Back in 2014, you posted about how you earn miles (https://onemileatatime.com/earned-miles-2014/). There could be a more up-to-date one, but I couldn’t find it. I would love to see a follow-up to that post because your blog business has grown substantially since that time and I’m guessing, so has your spending and earning. Care to give your dear readers an update? Lucky: I’ve been following you for some years now and it seems you’ve seen sydney and melbourne but little of the rest of Australia. Why not continue from Melbourne over to Perth on either QF A330/787 or VA A330? It’s the best domestic business class in the world. Availability is very good – including with Alaska; because there are multiple flights per day. Even if not this time you should see WA another time. While there isn’t a lot to do in the city of Perth itself there Are a lot of ‘nature destinations’ around the state of Western Australia from the Kimberly region to Margaret River. Lucky, a lot of people mentioning going across to PER with QF. Why not try out the Qantas 787 Premium Economy? They just started selling it domestically (and it’s the only route in Australia with domestic premium economy). Would make an interesting trip! I agree with others, man up and do the Pacific Island routes from Tokyo. JAL to ORD is so over. Instead of the last flight on JAL First Class to Chicago you could fly to Muscat and then to London on Gulf Air’s new 787 Business Class and then Virgin Atlantics 787 to the U.S.
What he should do in Philippines is fly to the Amanpulo Resort on their private airline from the Manila airport. They even have their own lounge at the airport in Manila. White glove service. There’s often availability on JAL MEL-NRT in J and then reverse your other steps. Unfotunately you won’t get the full business class meal as it departs after midnight, which is aa shame because the Japanese option on JAL has constantly been my favourite business class catering for a while now. Could go NRT-MEL but that doesn’t get you where you need to go, just back to Australia. ANA SYD-NRT in J then ANA NRT-MEL before resuming your itinerary? ANA J is not as good as JAL J but you did say you wanted the comparison. How about you stop by for lunch in Singapore? 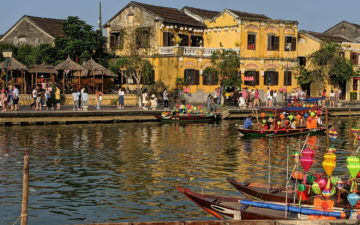 Flying domestically in China the cheapest way to book is generally through Ctrip. Air New Zealand from Tokyo – Auckland – LA/SF/Houston/ Chicago (from November 2018) would be a great way to get home! @Lucky, if you fly from NRT-ORD on Japan Airlines from June 8-August 3, it will actually be on a 787, just saying. Also, Shanghai Airlines’ 787-9s are starting next month, flying to Melbourne and Sydney! you could do that but you’d miss garuda, Singapore, and Malaysia. Shame about the Qantas flights not being available through Alaska. Are they usually available online like for JAL or do you have to call in always like for Cathay? @lucky, is cheaper to book it from Ctrip, ITA and google does not work in china. Absolutely agree with Schoolies and Bali in December – give it a big miss. Why not Brisbane and the Gold/Sunshine Coast – just beautiful and lots of new hotels which have no substantial reviews. Lucky, a must do excursion if you include PER is to fly to Geraldton, WA (1 hour on Qantas or Virgin) and then take an Abrolhos Islands day trip flight. You land on East Wallabi island and have the most amazing coral reefs to snorkel. The flight itself is epic flying over the islands seeing whales and all sorts. Highly recommended! @ lucky — Why were you unable to book the Qantas award with Alaska miles? Is it that technical glitch that doesn’t seem to go away? I’m so nervous about my upcoming flight in Malaysia Airlines’ A350 business class! I flew the A330 to Beijing in July, and assumed the awful experience I had was because it was a flight to China. However, I’ve heard from many other people that the service on the KUL-NRT/KIX routes is abysmal, and I should have low expectations. Just flew the new SQ 787-10 business class last week and was wondering when we’d see a review! Spectacular regional product and would love to see your take on it. You need to be sure that you are flying on MAS A350 XWB as they are currently swapping planes with A380 when loads are high without notice. Sounds like a really cool trip. However, don’t expect too much about MH First class. I had an aweful experience on the exact same route. But the 40k AA miles are still a good value for a First class flight of that distance. I’m curious about your experience on MH (really hope you will have a perfect flight) and also the reviews coming up of the QF 787 and SQ 787. Safe travels. I took KUL-NRT return in MH J recently, outbound on A350 and inbound A380. I would say service was good on both flights, and I usually fly Qatar J. They did their best to help me with anything I wanted, including me wanting to change my meal preferences. However, one might not be used to Malaysian style hospitality which can be more in your face. I took KUL-SYD after my Japan trip, and service was AWFUL on that particular flight, so it may be a question of hit and miss. try the Darwin to Shenzhen on Donghai Airlines! or Sydney to Hong Kong via Port Moresby on Air Niugini! I encourage you to keep the JAL flight to ORD. There have been some ugly rumblings about severe cost cutting in JL’s first class. It would be interesting to get a firsthand account. Otherwise, I agree with some of my OMAAT brethren: a review of a Philippine Airlines flight to the US would certainly be worthwhile. Any Virgin Atlantic award space from London to the US? 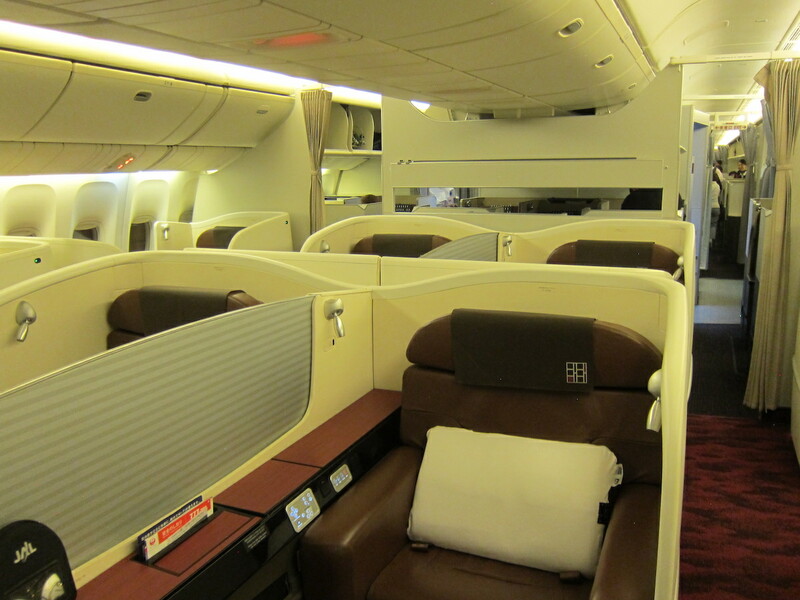 You could fly back to Kuala Lumpur on JAL’s 787-9 (that flight features their new reverse herringbone seats). After that you could fly to Dhaka on Biman’s 787 and to London on their 777. From there, if Air New Zealand had award space it could be a good way to get home – if not you could do a premium economy product on BA or Virgin Atlantic and compare it against Norwegian’s, or you could do Air Transat or Westjet’s premium products to get to Canada. Just some fun ideas, and can’t wait for the report! To follow up, if you decide to follow with W’s plan, do consider flying Biman from Asia to Muscat – in that case you could find a 787 flight from Kuala Lumpur or Singapore, and connect in Dhaka. Their Dhaka to Muscat flight is operated by an ex-Emirates 777 that they leased from flyGlobal – it features Emirates’ old first and business class cabins from 1999! Thank you, MS! If you want, you can check out my review of MH J on the A330 and let me know how your experience compared. I’ve actually spent a good amount of time in Malaysia (I’ve been living in Thailand for ~2 years), but the service throughout my latest MH experience was not something I could’ve foreseen. While SPG high-category hotels are cheap on points, it would be worth stopping for a night in Tokyo to review the lovely new Prince Gallery SPG hotel there. It’s not terribly convenient to the airport, though you can use the Airport Limo Bus for direct service to the hotel to/from NRT and HND. When was your last actual review may I ask? I continue to flick through this blog daily but recently finding little of interest. I think that it probably doesn’t fit, but a nice way to get to Shenzhen is Hainan Airlines 787 from Zürich. I took the inauguration flight in August, but in Economy. That way you could show me what I missed in Business. Thanks – my apologies. I enjoy your reviews, so naturally would like more! I’m itching to do MH A350 F on the same route but can’t find any availability on AA! Where and when have you found some? Why not try the premier Asian low cost airline ,Air Asia . You can fly Singapore to Kuala Lumpur , only 40 minutes . Will be interested in your views. I want you to try economy class in the middle seat on a 787. How on earth do you have SO many miles all the time??? It seems like it’s never ending. Given you don’t spend money on rent, car, gas, etc, how do you earn so many miles??? So, I have a flight coming up soon in China from Qingdao to Shenzhen with a stop in Ningbo. Either, I have seen it stated as a stop or layover, so would this be considered a domestic connection? Do I need to change planes with only 55 minutes to spare? I am confused. I am worried about having to recheck my luggage and going through security again with such a short amount of time. Hopefully, the luggage will check through the final destination. Yet, it does have the same flight number for Qingdao to Ningbo and Ningbo to Shenzhen. So, I am unsure. Thank you for your clarification. I have just flown Juneyao’s new Business class, you can get it cheaper for about $248 one way. It’s a really nice product, although service is not up to the standards of the product yet but I saw improvements in the 2 days in between my flights. These domestic China routes are perfect for me, credit cards here have close to none sign up bonuses but at least I can try some new products for a reasonable price in the weekend.